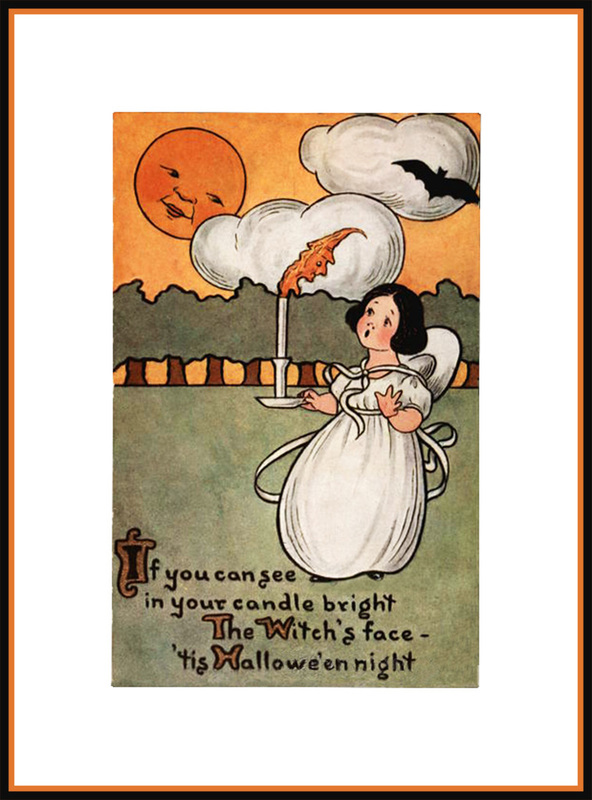 Sending Halloween cards to friends and family as well as receiving these cards is so much fun, and if you don’t already do it, now is the time to start a new tradition ! 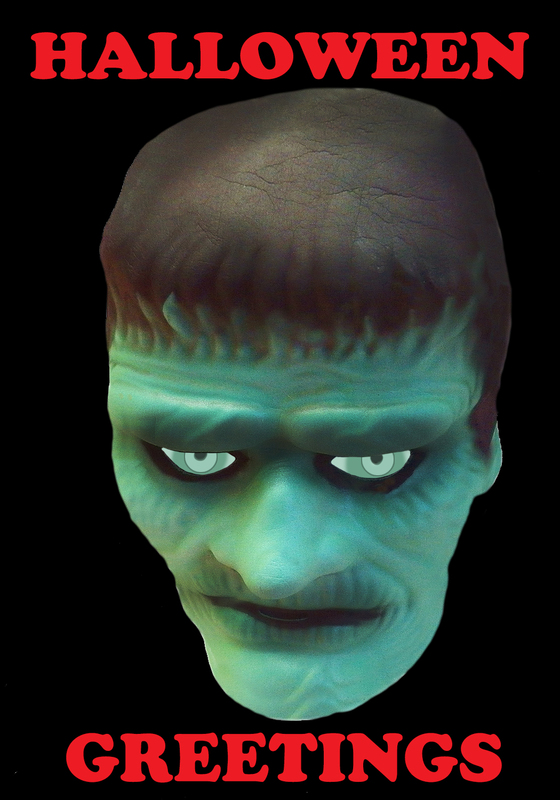 Halloween this year, as every year, is the 31. Oktober. Read more about Halloween here on Wikipedia, and find your Halloween cards here. 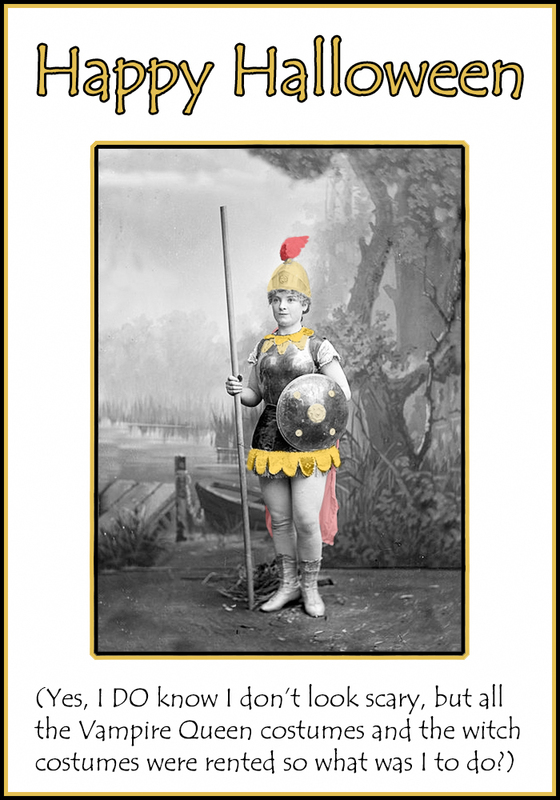 Print them and send it – and you are part of a great tradition! 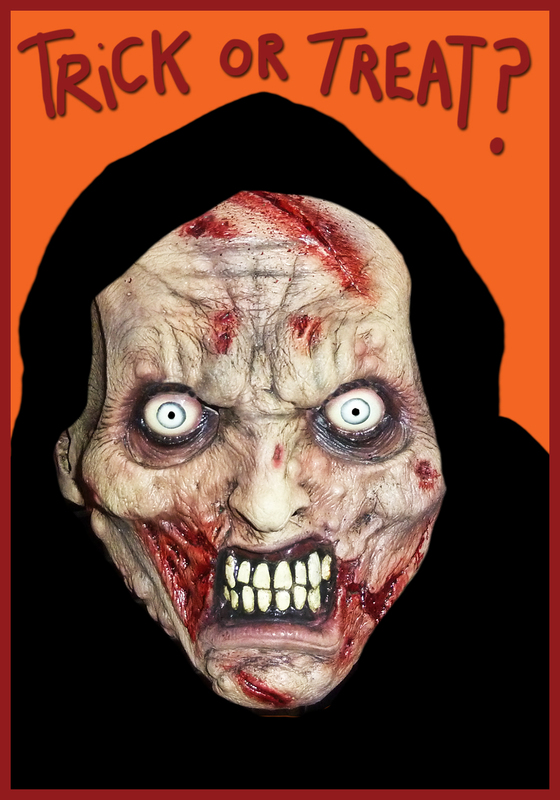 It is easy to make your own cards using clip art and a drawing program on the computer, but if you want it to be even easier than that, take a look at some of the card s with Halloween motives here on this page. These Halloween cards are the size approx 3,5 x 5 inches printed with 200 dpi. 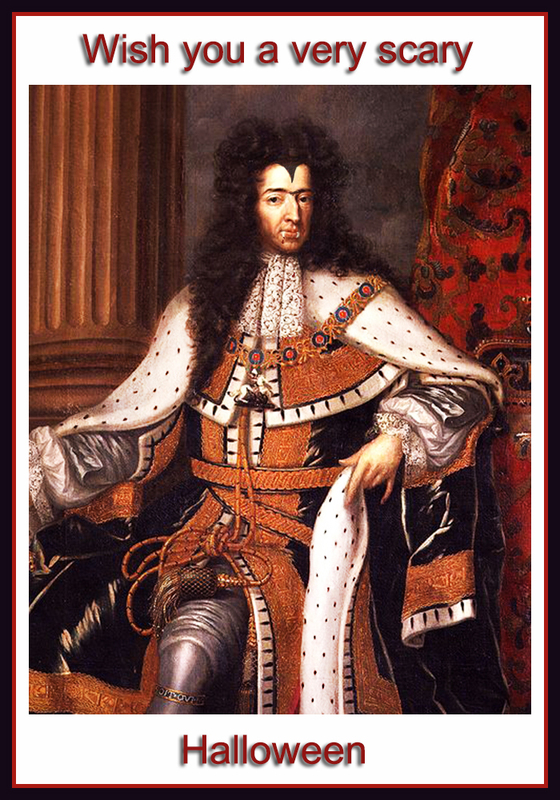 Click the picture you like to have a closer look, or just save it using the download-button. After saving it you just print it. 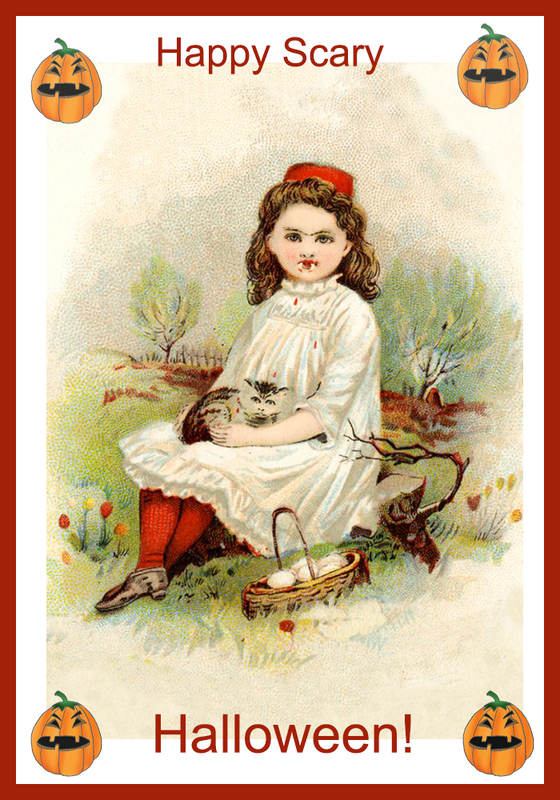 This card with the old gentleman with his fangs ready and covered with blood – who wouldn’t like to receive a card like that? 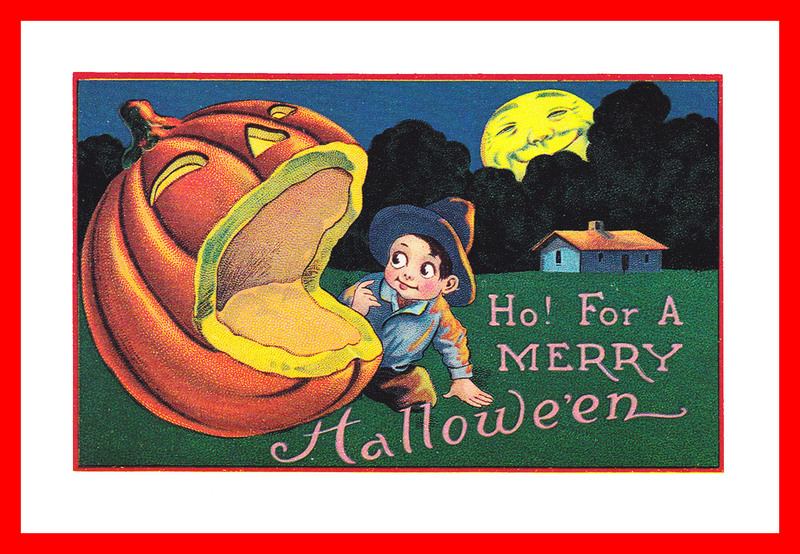 Not everyone gets a Halloween greeting from one of the old Halloween vampires. This next Halloween greeting card is maybe a little too much, with the sweet little girl who seems to have bitten her sweet little kitten. But after all it IS a Halloween card, and Halloween is about being scared, so …….. This card is also 3,5 x 5 inches but printed with 300 dpi. 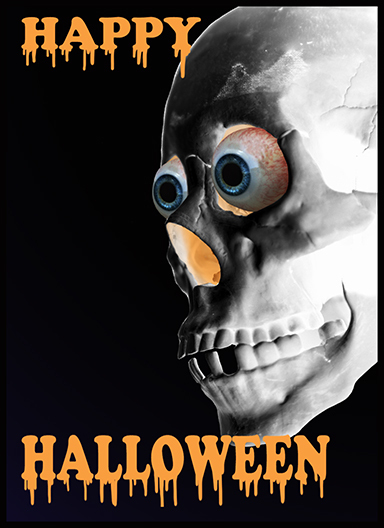 A skull with eyes popping out, wishing you a happy Halloween. Size printed with 300 dpi can be 4 x 5,5 inches. The size of this card, printed with 300 dpi, should be approx. 4 x 5,5 inches. I really like this next card for Halloween. 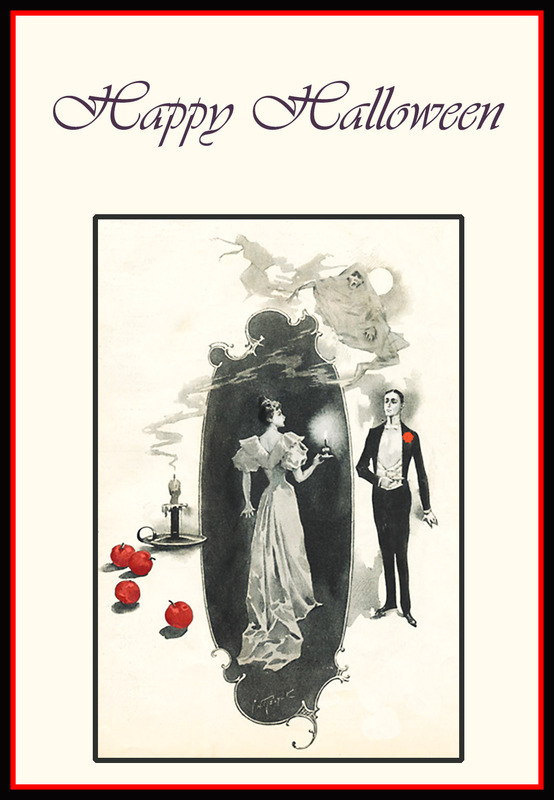 It’s funny and scary, everything a Happy Halloween card should be. 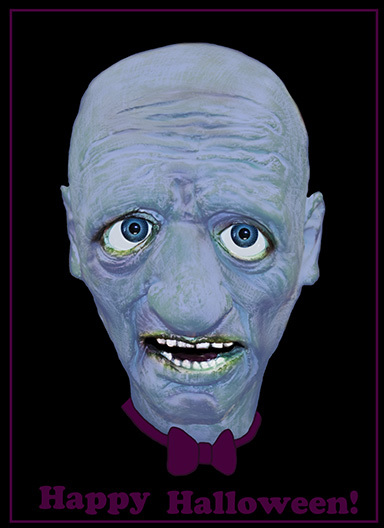 The last of the scary Halloween monsters cards for now, but this one is also very, very scary, so don’t send it to a child, please. A Halloween card for kids and the young at heart. 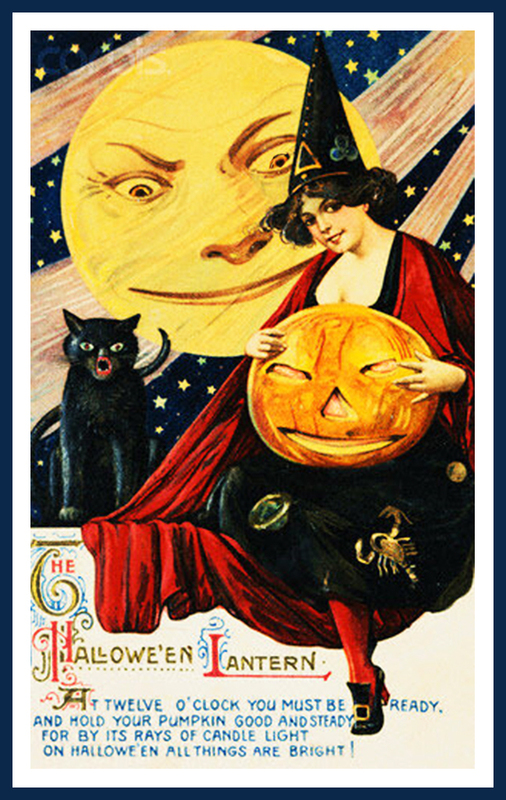 A card with a small boy together with a laughing Halloween pumpkin, and the moon is also having fun. “There’s a goblin at my window, a monster by my door. The pumpkin at my table keeps on smiling more and more. There’s a ghost who haunts my bedroom, a witch whose face i green. 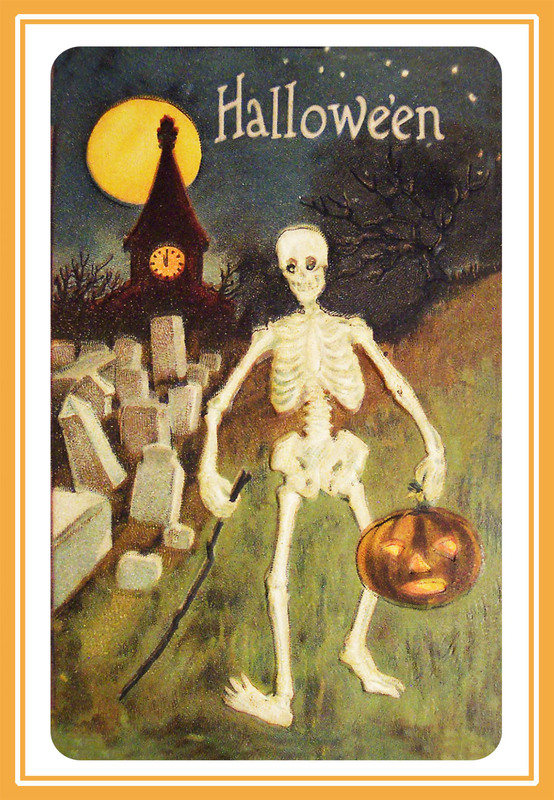 A Halloween card with only Halloween as text, but with a Halloween skeleton carrying a pumpkin head, near a graveyard at full moon. Here you find the motive with a woman looking into the mirror Halloween night, with a candle, to see her future husband. The ghost is floating above in the smoke from the other candle, and you see the apples. Have a bootiful Halloween ! 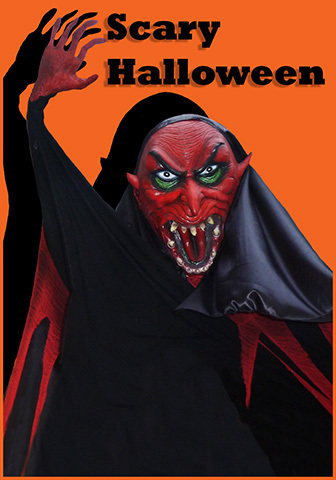 Visit this site for more Halloween cards and Halloween Clip Art.